"Organization needs" can come in all different shapes, sizes, and colors. ﻿Due to a few requests, we are now offering organization services. 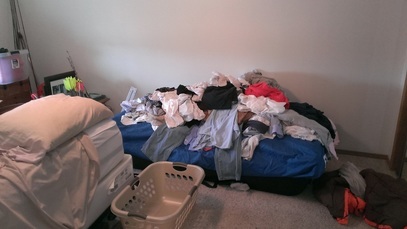 Organizing, "clutter cutting", or whatever you need, let us know. Everyone's different. If organizing your home or office isn't your strength, that's ok. Hey... Einstein had a messy desk, too! If there's something on this list you don't see, just ask. $45 per hour for organizational or decorating services. Request your free organizational service quote today. Or we can work it into your house cleaning estimate. ​2425 E. St. Charles St.